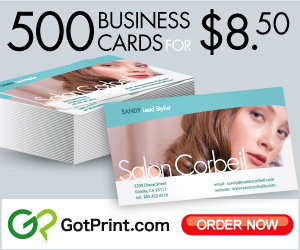 Your business advertisement deserves to be seen. We’re all aware that it can be difficult to do this without being obnoxious about it. Believe or not, there are subtle ways to get your message across via high visibility. 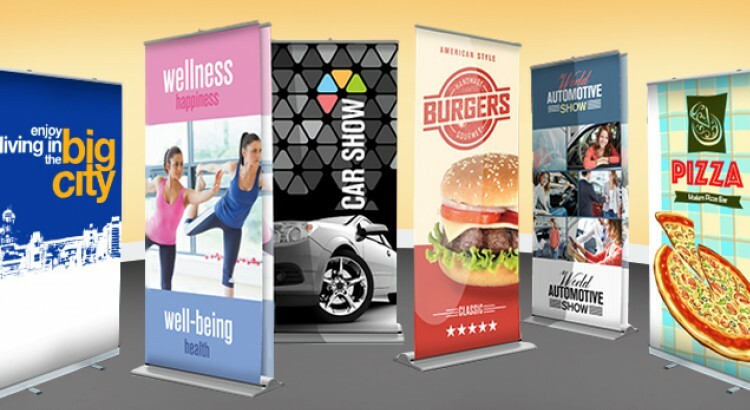 Meet the versatile, long-lasting Retractable Banner Stands, your best friend when it comes to visual marketing for your business. These bright and attention-grabbing banners come with a multitude of benefits. They liven up any business and are an eye-catching means of attracting newcomers, as long as your layout and designs are relevant and appealing. Your retractable banner is only as effective as you make it. 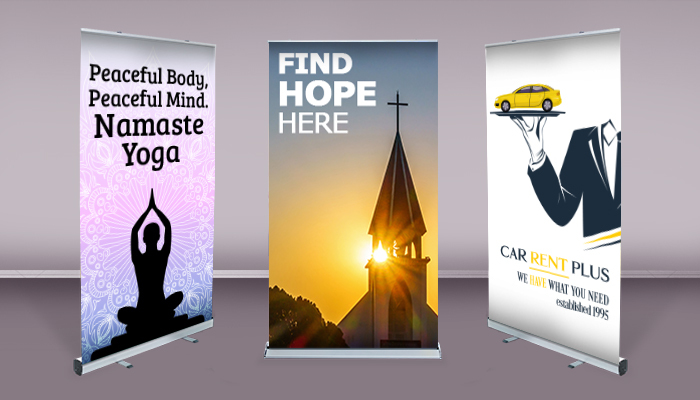 This list of ideas we’ve compiled for you will give you a running start on creating a retractable banner that will increase foot traffic to your business, church, charity, institution, or event. Use these ideas to help you craft a message that will be enhanced by the size and placement of your banner, and reach a greater audience with their swift portability. The advertising message you craft for your banners should be powerful and concise. You have a lot of room to include quite a bit of text, but the key is not to overwhelm your banner with too many words. Bombarding your banner with paragraphs of information will distract from the actual purpose of your retractable banner, which is to draw people in and increase foot traffic. It’s worth it to note the importance of content strategy. Use your messaging, NOT to loudly sell yourself, but to build trust with your targets. Your banners will produce real results if you execute your content strategically. Successful content strategy ranges anywhere from providing a shocking truth, to providing vital but fast facts that are industry related. Overall, your messaging needs to parallel your beliefs. For example, if you are a creating a church retractable banner, communicate your religious beliefs through verses and scriptures. Whatever banner you intend on creating, the message should be powerful and concise enough to not only bring people in, but keep them coming back. Retractable banners are ideal for big and vibrant color images. Your images will radiate to eyes from afar, so choose images that are mesmerizing and attractive. You can feel confident printing high-resolution photos on your banners, as they will have an added level of protection. The colors and image should also be emotionally driven. Content Strategists at Contently state that emotions have profound impact on our actions and create lasting, instinctual impressions. The best emotional advertising will reach a resolution1, in this case it is to bring people into your business. You should also be mindful of choosing images and colors that suit the context of your banners. They should also appropriately contrast the text so that it doesn’t drown in the photos and take away from the messaging. You can reference our color guide to get ideas and inspiration on which colors will help convey your message. You may also want to consider creating a retractable banner that is image heavy, if appropriate. Food / Restaurant – Sometimes photos of delicious food is all you need to attract customers. Real Estate – A photo of a beautiful property you’ve sold or have on sale speaks for itself. Fashion Event – Spotlight a model in flawless photo on your banners and you’ll have people coming into your event already hooked. Your company or institution’s ideals should be the center of your retractable banner designs. One powerful statement, or even a single word, that embodies your ideal could be the selling point of your banners. The purpose of your banners is to spike curiosity so that people will either check out your business, find interest in your institution and beliefs, or get excited about an event. 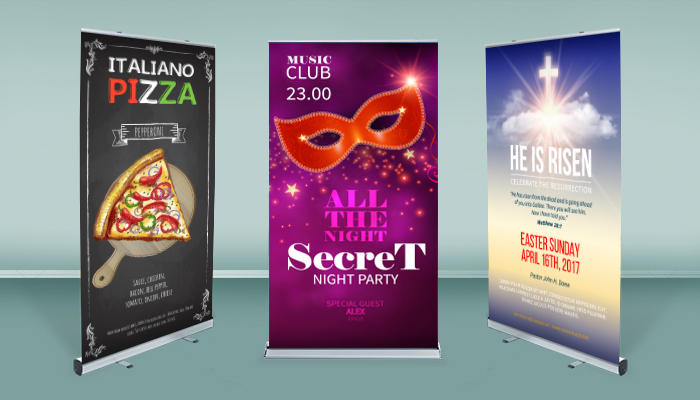 Whichever purpose you’d like your banners to serve, make sure the ideals are bold and enticing. Now that you have all your design ideas, it’s time to lay it all out on your retractable banner. The placement of your content and images on your retractable banner designs can make or break their effectiveness. If you are including your company’s logo, its best to place it at the top where your brand visibility will get the ultimate exposure. That way, anything that comes after can be immediately associated with your brand. Any text that further explains the purpose of your banner, (facts, mission statements, contact info), should be placed toward the bottom. Photographs. graphics and images always fair better toward the middle. Strategically creating a layout will take you a long way – the more attractive your banners, the more foot traffic you’ll get! 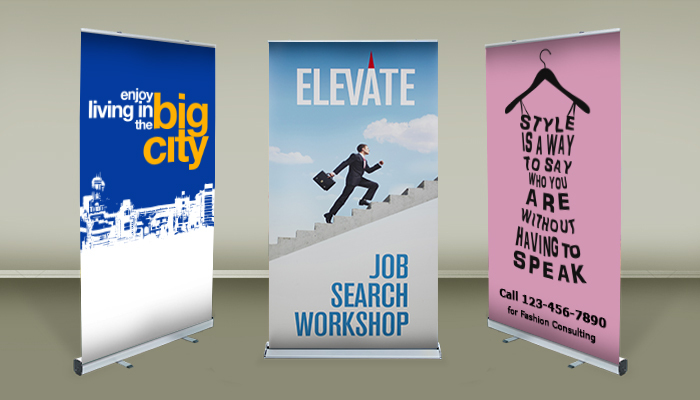 Don’t settle for a generic retractable banner design that will easily blend into obscurity. If you keep them relevant and specific, you’ll not only attract the right following, but you’ll earn their trust and dedication too. 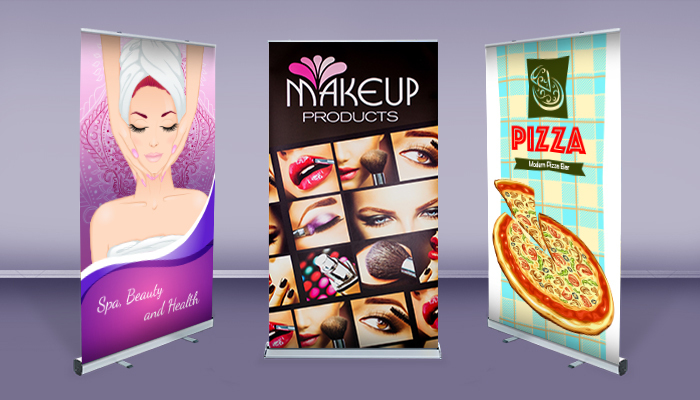 Banner designing is really efficient in grasping potential customers and increasing the visibility of your brand. It is easy enough to capture the right attention with the help of a beautiful banner that displays just the right amount of information. Lovely message, guys! I couldn’t agree more. Banners are a great way to get a good first impression of your ideals and the best form of representation at live events. Some people like to jumble it up with too much content which makes their banners look messy… just keep it simple, bold, and attractive. It’ll win people over every time! I do agree, if you keep your banners relevant and specific, you’ll not only attract the right following, but you’ll earn their trust and dedication too. I usually pass by these things and had never even thought that this is a business and a popular one at that. It seems like banners are great advertisements since I personally am attracted to them at times. If I were in business, I would be sure to have a splendid one made. Thanks for the read! I am currently looking to have a banner printed, but I don’t know what design I want to use. I loved your suggestion of using Full-Color images. This will help grab the viewers attention and hopefully stick in their mind. When I find a designer to create my banner, I will give them this thought. Great to hear and glad we can help. Thanks for reading, Bethel! That’s a good point that banners are used so that people will see them and be curious about what that company does, so they’ll then go and see what the business is all about. Another good thing about banners is that they are just so big and easy to see. I think that this would be a great promotional material for any business to use. I totally agree with the message. That should be the core of the idea when it comes to promotions. The message will get you the traffic you want and not just the graphics or the print. When you have the message, the next thing is to show off quality through top notch or decent printed retractable banners. Your designs looked great, by the way. The prints looked clean, clear, and in full color. That should reflect the kind of company you are and the service you can deliver.